In today’s online world, a content strategy is essential to success. Unfortunately, many businesses lack a content strategy. 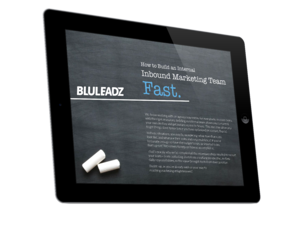 They may be using a handful of inbound marketing tactics, but they haven’t had the opportunity to bring it all together. In many cases, this leads to the impression a website simply isn’t adding to the bottom line. That keeps people from doing the work and testing that can deliver results. Luckily, a content strategy doesn’t have to be mysterious. Like everything in the world of inbound marketing, a good content strategy is based on best practices. These are backed by data and a long-established record of success. By doing certain things in certain ways – and staying consistent for months – you can achieve your goals. If you’re on the marketing team and you only see your sales colleagues on the way to and from the water cooler, it’s time to talk. They probably know a lot about your ideal customers. Any content strategy starts with figuring out your best customers’ main concerns. What are their pain points? What keeps them awake at night? A formal buyer persona can help, but isn’t always necessary at the start of the process. From the content strategy perspective, what you’re really looking for is a customer’s burning questions. Your top of the funnel content will focus around answering these. One crucial way to ferret out burning questions is to look at your incoming search terms. Many of them will be phrased in the form of a question. You want to start building pages around those search terms to drive visitors to exactly what they need. Once you’ve figured out what questions are most important to your audience, take a look at the informational pages on your site and figure out which ones are being answered. Most sites are doing a “pretty good job” of answering some questions, but others have been overlooked. A list of pages that already answer relevant questions, but could be expanded on. You should strive to answer every single question you’ve been able to identify. Generally, you want to have substantial blog posts to answer each question, so this is where you should start. Cover problems from every angle and focus on adding value. When it comes to informative blog posts, the rule of thumb is usually this: The longer, the better! Go beyond the 400-word norm to address issues in 600, 800, or even 1,000 words. There’s good reason to believe this kind of post ranks better in search. And don’t worry – when people are interested in your content, they WILL read it! Since questions are the bedrock of a content strategy, you have the opportunity to learn a terrific amount of information about your prospective customers. Each question tells you about their various priorities, interests, and needs. To make an impact on the bottom line, however, content needs to move people through the sales funnel. And to do that, you’ll need – surprise – more content. Maybe one prospect is trying to cut costs. Another wants more customers. Whatever the case, it’s time to create an in-depth guide that will meet their needs: Something they’ll be willing to trade you their email address to receive. All those different pieces of content can be reused in different ways. For example, blog posts can be turned into video scripts, while infographics can be parceled out into presentation slides. By reusing and occasionally refreshing content, you’ll expand your reach. If you have a B2B business, LinkedIn is your best bet for prospecting. B2C? Both Facebook and Twitter hold potential. Every time you develop new content, you should share it. And remember, you’re always getting new followers – so don’t hesitate to reshare popular content. Now, you have your building blocks. The final step in transforming them into a true content strategy is establishing goals and guidelines to do it all again on a regular basis. Harvest fresh questions, develop sparkling new content, build out offers, and keep that content cycle spinning. It’s that simple – and in the long run, a cohesive content strategy is one of the most powerful tools you have for attracting new prospects and turning them into customers.